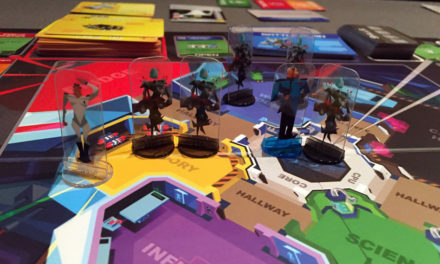 One of the more popular mechanics in board gaming has to be area control. If you haven’t played one before, the basic premise involves trying to get the most of your units into specific areas to earn victory points. Easy enough right? Not always, since your opponents are usually actively working against you at every turn. 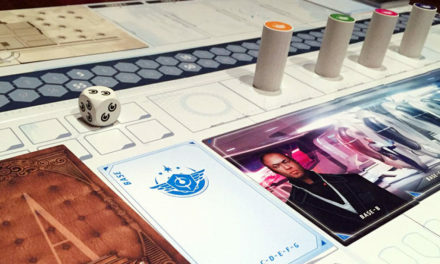 Our newest Game of the Week seeks to distill area control down to its essence in a quick playing, highly portable board game. Eight-Minute Empire is a quick civilization/exploration game that has players drafting cards to manipulate “army units” on the board. I say army units, but in reality they are just wooden cubes, so don’t be scared of the theme. Anyway, throughout the game, players will be spreading their units into different areas on the map to try and gain control of regions and continents, thus earning them victory points at the end of the game. 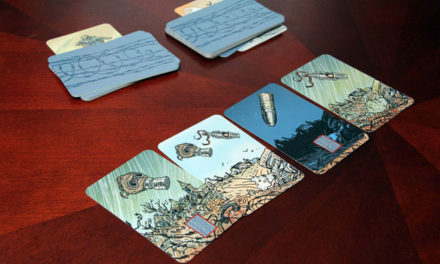 The cards themselves double as both ways to add and move units, and also as a set collection component. So there are actually quite a few ways to earn points in this little game. 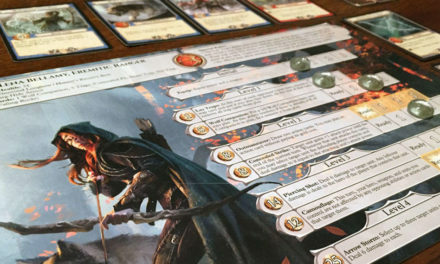 So you are probably wondering, can I really play Eight-Minute Empire in just eight minutes? Actually you can. A group of us tried to see if we could actually finish the game in eight minutes. We setup the game, started the stopwatch, and gave it our best. And while we actually did finish in time, it took a dedicated effort of all players to make quick and decisive turns. 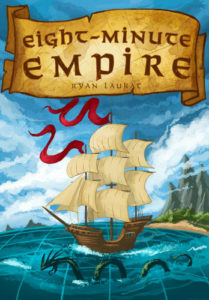 Fifteen-Minute Empire is probably a better name, although not as catchy. 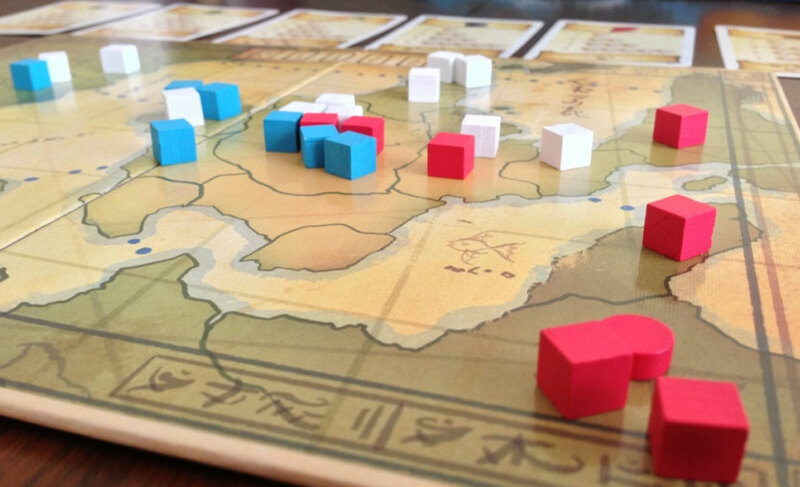 Regardless of the name or play time, Eight-Minute Empire is a solid little game that not only has a small footprint (making it ideal for travel), but can be quite addictive. Plus, I almost forgot to mention the amazing artwork from Ryan Laukat. I love seeing his work in games as his painting style is always a crowd pleaser. Pick this one up today. And after you’ve gotten your feet wet with Eight-Minute Empire, be sure to check out the stand alone sequel Eight-Minute Empire: Legends.